SYRACUSE — Meghan Fretz made things official with Huntington University Thursday afternoon. 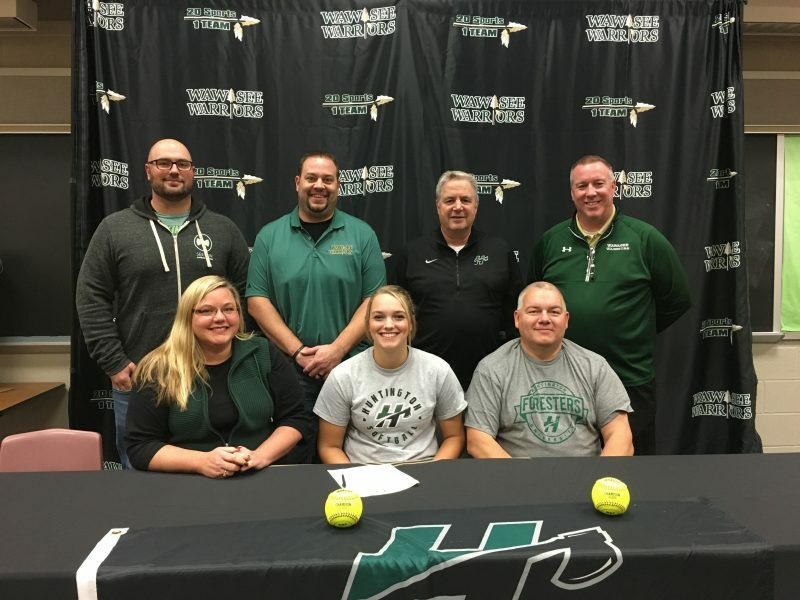 Fretz, in front of representatives from HU and Wawasee as well as family members, signed her letter of intent to become a Forester starting next fall. Fretz has quite the decorated athletic career while at Wawasee. She was named to the All-NLC team for softball both in 2015 and 2016 and won the Offense Award for the team in 2014, 2015 and 2016. She helped to lead the softball team to NLC championships each of the past two seasons as well as a sectional championship in 2014. As a member of the swim team Fretz won both a conference and sectional title in 2014. She was also the kill efficiency leader for the volleyball team in 2013 and 2014 as well as the Tomahawk Award recipient in 2014. Fretz, in addition to being top 100 in her class academically, has participated in numerous other extracurricular activities including: the Kosciusko Youth Leadership Academy, NWUMC Youth Group, serving as a coach for Upwards Basketball, Mystique Travel Softball Club, Outland Travel Volleyball Club, peer tutor for English and the Engineering Super-Mileage Program Captain.